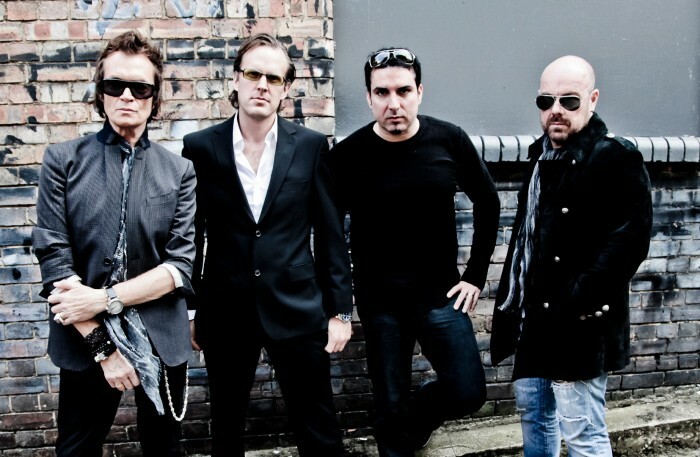 And the reunited Black Country Communion will deliver it, he promises. On July 20th he and Joe Bonamassa starts working on the reunion album. “Joe and I never fell out,” Hughes tells Danish hard rock magazine, Metalized, as he reveals the story behind the reunion. There was never any bad blood between the two main characters of what sounded like the saviors of classic hard rock, Black Country Communion. A band that between 2010 and 2012 released three highly praised albums and a live album, but disbanded around the time of the release of the third album, ‘Afterglow’, in 2012. But the fans thought singer and bass player Glenn Hughes and guitarist Joe Bonamassa were fighting hardly, and the surprise was bigger than the surprise of Axl Rose fronting AC/DC, when drummer Jason Bonham on Facebook posted a photo of the band with the simple caption “2017!!!”. And then the reunion ball went rolling at high speed, the band members confirming the reunion one after the other. And in 2017 Glenn Hughes, Joe Bonamassa, Jason Bonham, keyboard player Derek Sherinian and producer and fifth member, Kevin Shirley, will be releasing album number four. It was Joe Bonamassa who initiated the reunion, Glenn Hughes tells Metalized during an interview in […] Medley Studios in Copenhagen, Denmark, where right now he is recording his 14th solo album. On July 18th Hughes will be finished working on his solo album in Copenhagen. Two days later he teams up with Joe Bonamassa to begin work on the upcoming Black Country Communion album. And he is looking forward working with the American blues guitarist again.